A monthly Welsh language music periodical with an emphasis on sacred music. The periodical's main contents were articles on music and musicians, reports from musical competitions and eisteddfodau, poetry and pieces of music. 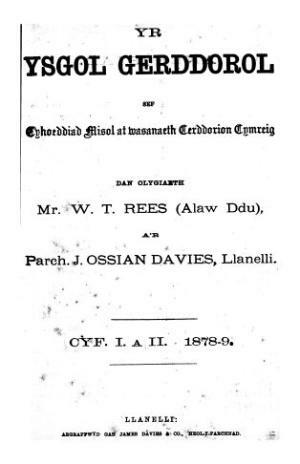 The periodical was edited by the musician William Thomas Rees (Alaw Ddu, 1838-1904) and the minister and author John Ossian Davies (1851-1916). Publisher Details: Argraffwyd gan James Davies and Co.